A few friends and I went for Korean BBQ at Cho Sun Oak in North Center last weekend. 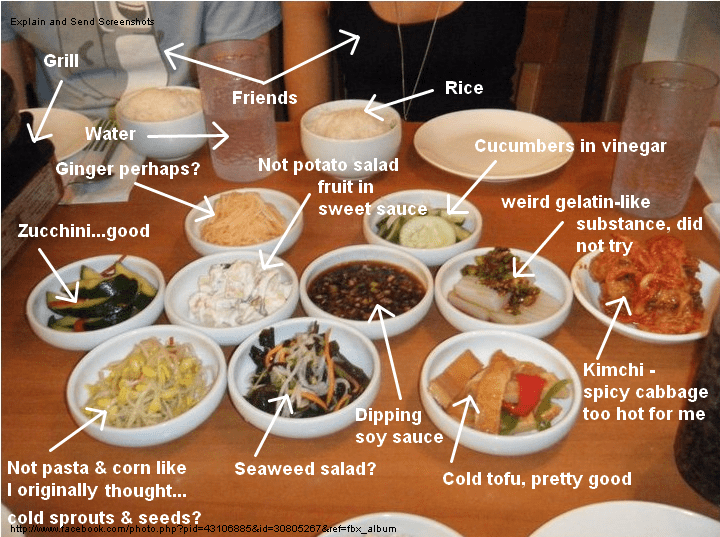 It was my first experience with Korean BBQ, which usually consists of meat cooked on a grill or stove at your table. We had a four person table without a grill/stove, so they brought one out. 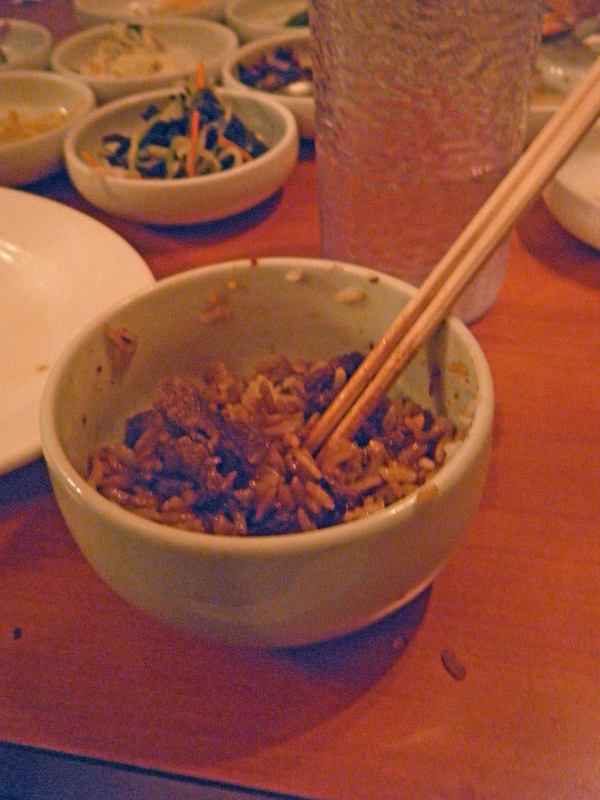 We opted for the marinated beef, which came with banchan (side dishes) and rice. 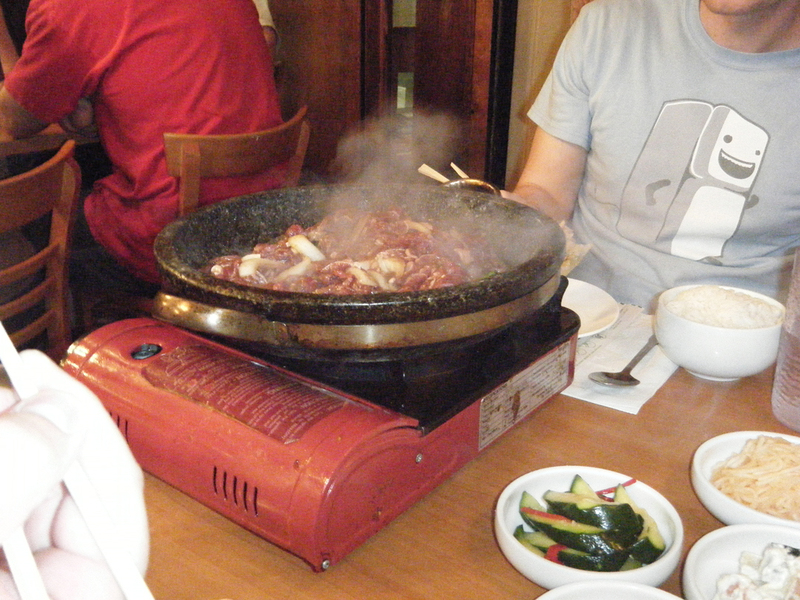 The meat was cooked in a stone pan and was served with rice. The service was a little spotty, and the waitress didn’t appear to speak an abundance of English. We kept waiting for her to come and combine all of our banchan, meat and rice and the end of the meal to make tabletop fried rice, but apparently that only happens when you order the NON-marinated beef… The marinated beef was so good, but the banchan was kind of strange. I tried almost everything, and I wouldn’t say I loved any of it. The place was packed, and it’s definitely a fun and different dining experience. The price was very reasonable ($13/person, including tip) and the food was tasty.